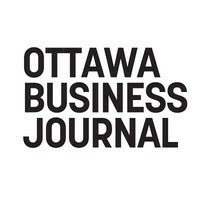 For most Ottawa tech companies, a multimillion-dollar acquisition would be their version of a Stanley Cup championship. But in the beehive of activity known as Martello Technologies, an eight-figure agreement to buy a European software firm is simply one more win in a 2018 highlight reel that gets more impressive by the week. Kanata-based Martello, which makes software that helps enterprises manage rising bandwidth demands and troubleshoot issues as they occur, announced Monday it is acquiring Netherlands-based Savision B.V. in a cash-and-stock deal worth about C$12 million. Ottawa-based Sampford Advisors acted as the M&A adviser on the transaction. Savision’s cutting-edge technology alerts customers when issues arise with their Microsoft-based applications, providing updates on the status of a whole suite of products in one easy-to-read dashboard. Martello CEO John Proctor told Techopia the deal gives his company instant access to the European market, thereby boosting its customer base while beefing up its service offerings. He said Martello looked at about 60 potential acquisition targets before zeroing in on Savision. “This gives us a more global reach, which a lot of Canadian companies struggle with,” Proctor said from Savision’s headquarters in Amsterdam, where he was putting his signature on the final agreement. Founded in 2006, Savision has more than 900 customers in 50 countries and posted revenues of about C$4.5 million in fiscal 2017. Most of the firm’s 32 employees work in the Netherlands, but its chief technology officer, Rob Doucette, and his 11-person team are based in Kanata. Those employees will soon move to Martello headquarters at nearby 390 March Rd., which will be expanding to accommodate the new influx of talent. All of Savision’s Europe- and U.S.-based employees will also be joining Martello, boosting the fast-growing firm’s headcount to 94 – and instantly doubling its sales and marketing contingent to 36. It’s that last number that really excites Proctor and his colleagues. Savision CEO Stefanie Richheimer will become Martello’s new Amsterdam-based chief revenue officer, bringing with her an impressive sales background and a rolodex full of customers from the other side of the Atlantic. For a company that a European sales and marketing force of zero prior to Monday, that marks quite an upgrade. The CEO said Martello expects to see an immediate uptick in subscription-based revenues once the deal gets regulatory approval. It’s already modified its communications network analytics tools to fit Savision’s platform and plans to pitch its products as an “instant upsell” to its European counterpart’s SaaS-based suite of solutions. “There’s an awful lot of synergies between the technologies, but also the ability to combine them into new products,” he added. Monday’s deal is just the latest in a string of headline-grabbing moves from Martello in 2018. Under new boss Proctor, who joined the company in late 2017, the firm kicked off the year by announcing it was merging with Montreal’s Elfiq Networks, a move that nearly doubled its size. Last month, the company made its debut on the TSX Venture Exchange and now has a market capitalization of nearly $77 million. Martello also made a splash in May by hiring former Ottawa Senators executive Erin Crowe as its chief financial officer. A month later, it raised $7.5 million in a private placement round from institutional investors, high-wealth individuals and Martello employees. “We had an awful lot on our plate this year,” said Proctor, whose firm was also the top Ottawa entry on the Growth 500 list of fastest-growing Canadian companies in 2018. Indeed, that would be a career’s worth of moves for some CEOs, but Proctor suggested there will be plenty more news to come from Martello on the M&A front.